All CBC indoor meetings are held in the ‘Henmore Room’ in Carsington Water’s main centre and they start at 19.30h. Entrance fee is £2.00 to members and £2.50 to guests – Parking is free. Indoor Meetings will resume in September 2019. 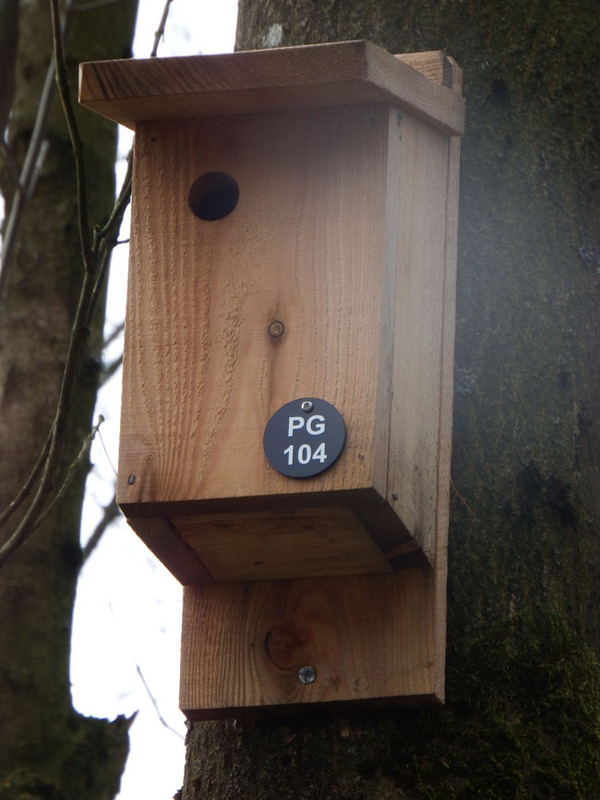 – First Sunday of the month – Birdwatching for Beginners – Meet Visitor Centre (10am-12 noon)Outdoor Activities: Please contact CBC with any queries or for further information. 28th April [Sunday] – Outing to Rutland Water, Leicestershire [details to follow]. 12th May [Sunday] – Warbler walk at Carsington Water, led by an experienced birder who will help identify the songsters by sound as well as sight [details to follow]. This 40-day holiday with my wife Meryl was almost a year in the planning (with a fair bit of help from Trailfinders, who did a good job with the plentiful detailed arrangements). Having been to New Zealand before 15 years earlier to celebrate our 25th wedding anniversary, but never to Australia, we decided to combine the two while still spending more time in NZ than we had before, so it was always going to be a long one. Nevertheless, that and a cancelled flight were the only slight negatives in a truly memorable journey, as each day rewarded us with either amazing scenery, jaw-dropping city-scapes, fascinating cultural tastes and, for me at least, above all exciting and varied wildlife at every turn. 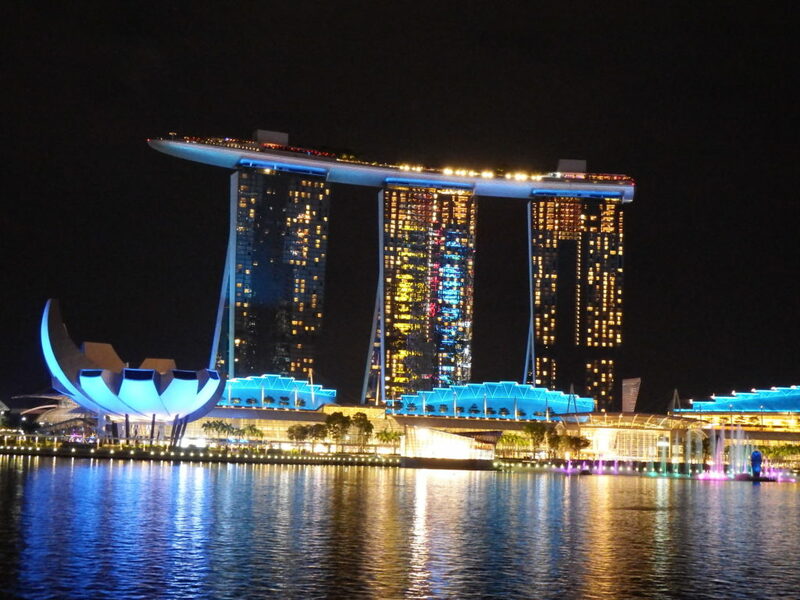 … and here is one of those buildings, the amazing Marina Bay Sands hotel (pictured during one of the regular light shows at the inner harbour), which cost $8 billion to build, has over 2,500 rooms, and its extended roof platform towers 200 metres above the ground, has an infinity pool and gardens of its own, including full-sized palm trees! 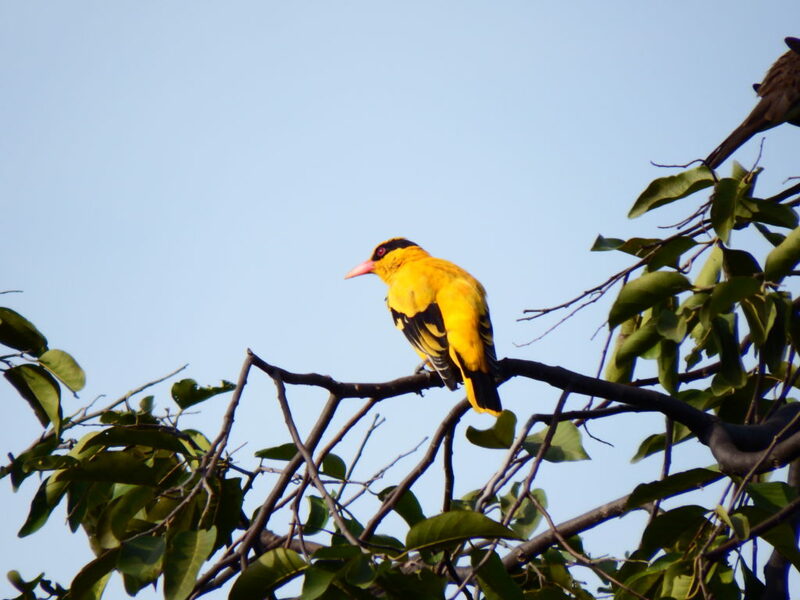 This striking Black-naped Oriole, a fairly common site in Singapore’s green spaces, was one of 24 species I managed to log during a brief two-day stay in the city state. This holiday’s plentiful new entries to my lifetime bird list began to accumulate during our week in the north island of New Zealand, when we stayed in Auckland briefly en route to Paihia in the Bay of Islands and Whitianga in the Coromandel Peninsula, but it wasn’t until we got to magical Stewart Island, located off the southern trip of south island, that the ‘lifers’ really started to arrive thick and fast. On a late evening boat trip, we caught up with a small colony of these Fjordland Crested Penguins …. 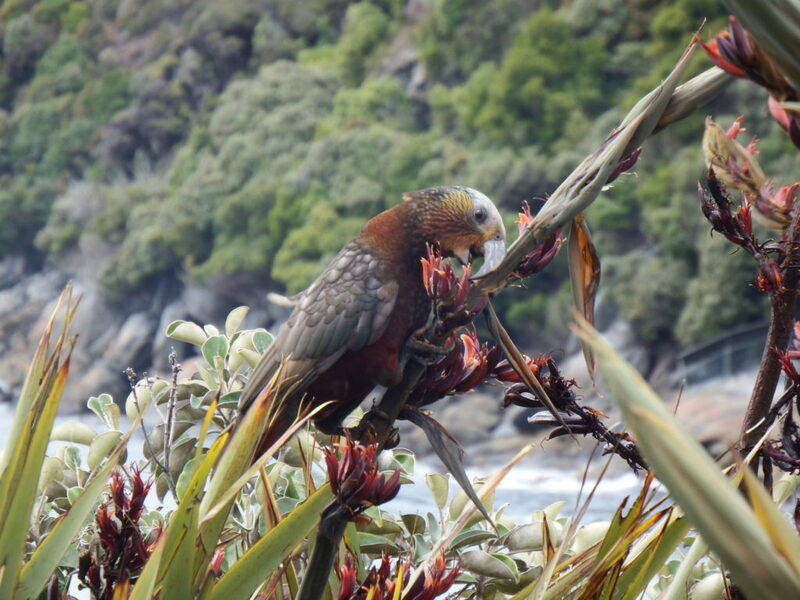 Large groups of Kaka parrots were a regular sight on Stewart Island as they tore into the seemingly-endless swathes of giant flax and other vegetation with their powerful beaks. New Zealand has a number of endemic parrots including the Kea, which enjoys mountains and snow (we’d seen them at Fox Glacier on a previous trip, but not this time around), and the endangered Kakapo, a huge flightless parrot whose population has been decimated by ground-dwelling mammals. Having been brought to the edge of extinction, Kakapo conservation is focused on on a few remote islands where stoats and possums have been eradicated. I discovered that one of these – Codfish Island – is just off Stewart Island. 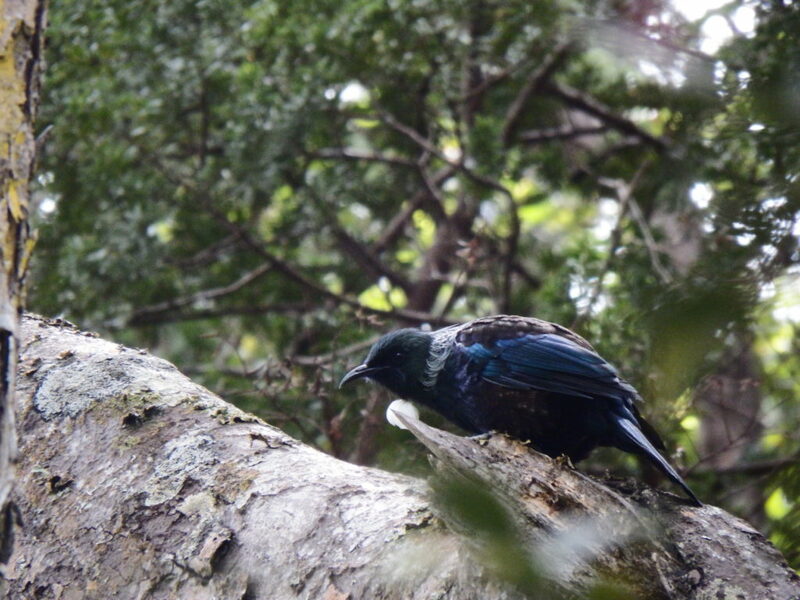 Another iconic New Zealand endemic is the Tui, after which a rather pleasant beer is named! 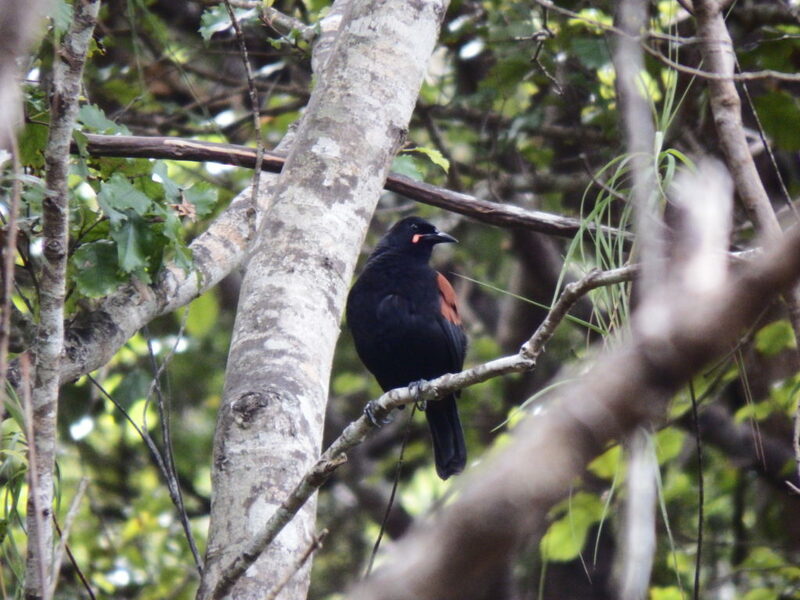 The Tui with its rich array of unusual calls, including mimicking human voices, is seen throughout New Zealand. 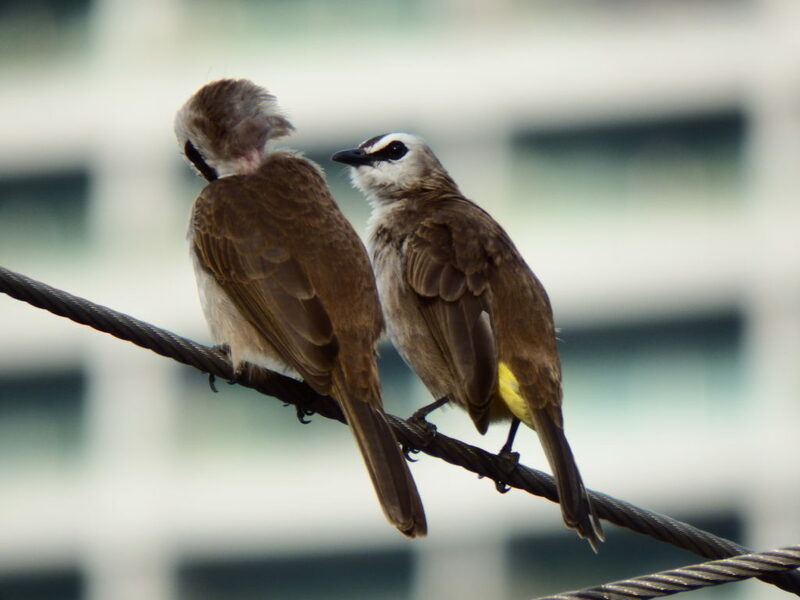 It is one of the larger members of the honeyeater family and because of its trademark white throat tufts was called parson bird by early settlers. 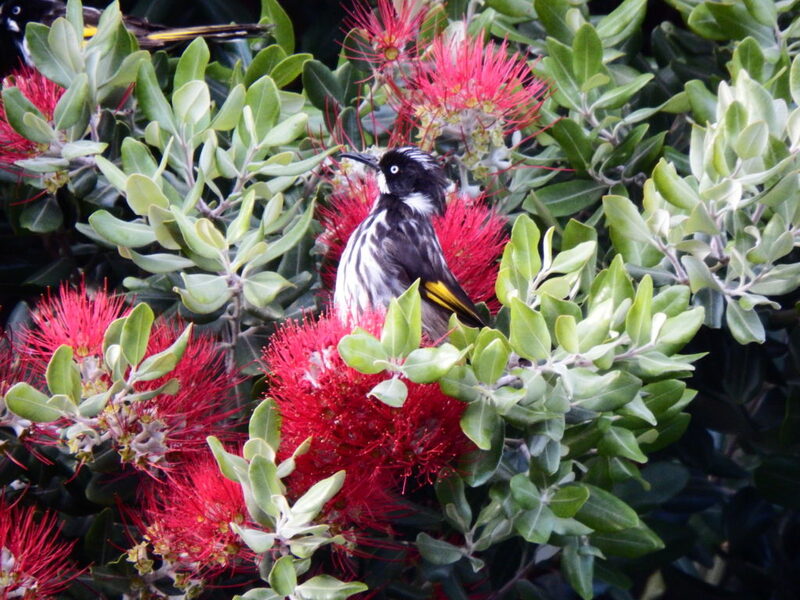 In New Zealand I saw 83 bird species, including several lifers despite having previously visited the country. 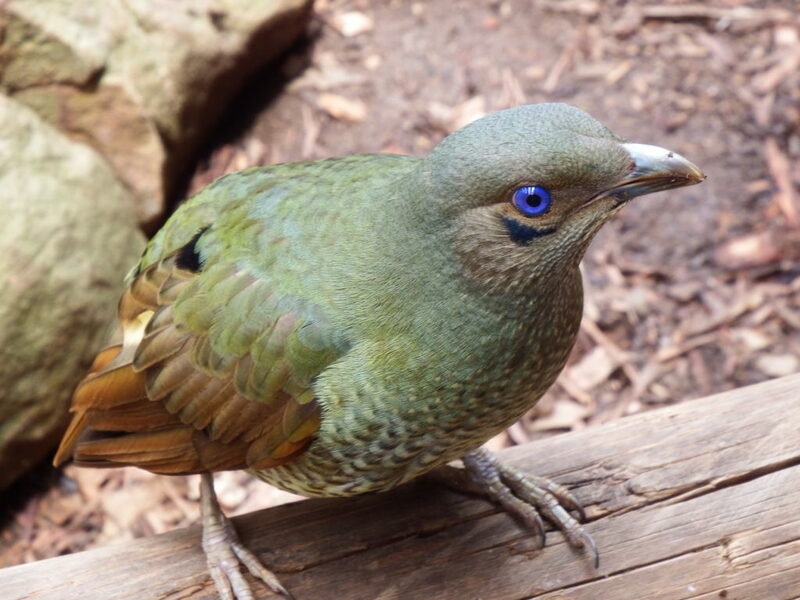 Possibly the most amazing bird in terms of behaviour was this Satin Bowerbird, with its bewildering range of calls, many unbird-like and some sounding almost human. Bowerbirds are noted for creating elaborate courtship ‘bowers’. Although I’m slightly cheating here, by photographing a bird in a walk-through aviary, I did see this species in the wild too – and it was, true to form, picking up debris left by humans in a car park. 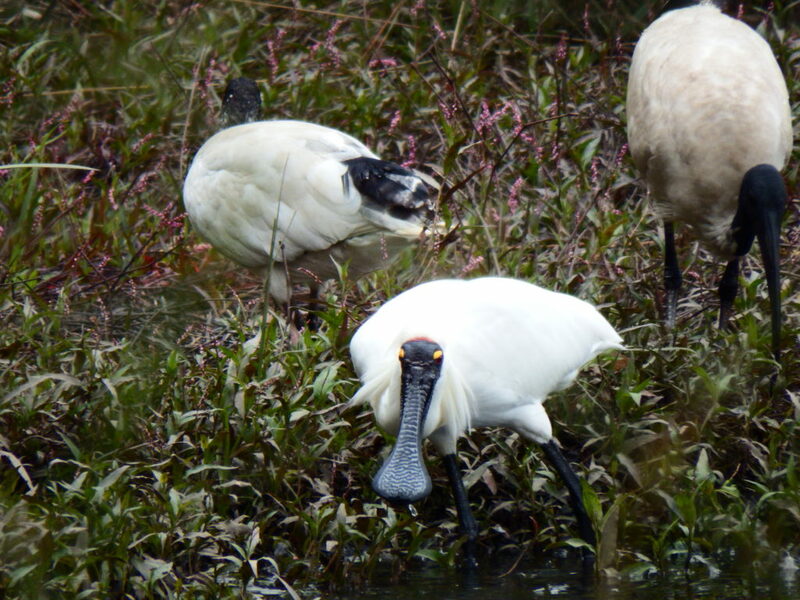 Royal Spoonbills were an impressive sight, seen here with some of the Australasian White Ibises that could be found almost anywhere – including rummaging through rubbish bins in the centre of Sydney! 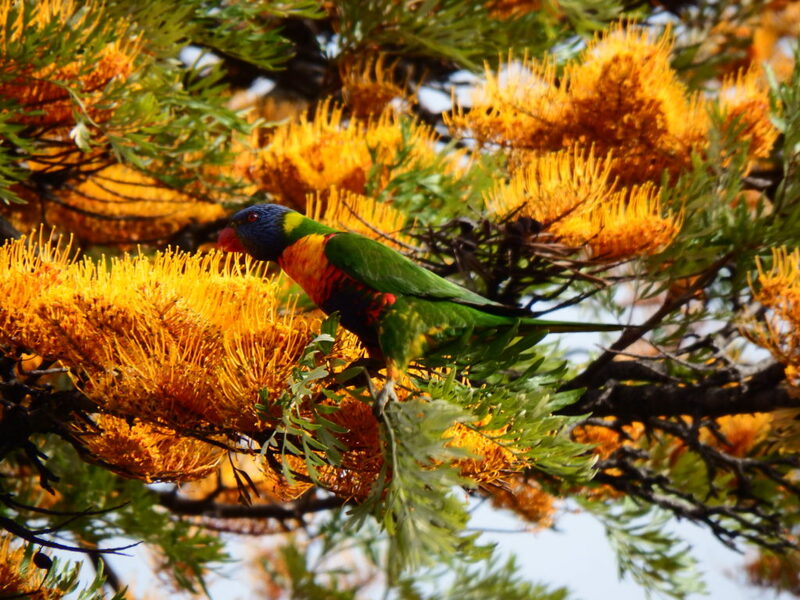 Surely the most colourful bird I saw in Australia – not an easy claim to maintain with so many species with outrageous plumage – was this Rainbow Lorikeet, which were readily seen in Sydney and Melbourne. The prettiest bird in my wife’s eyes (and why not!) 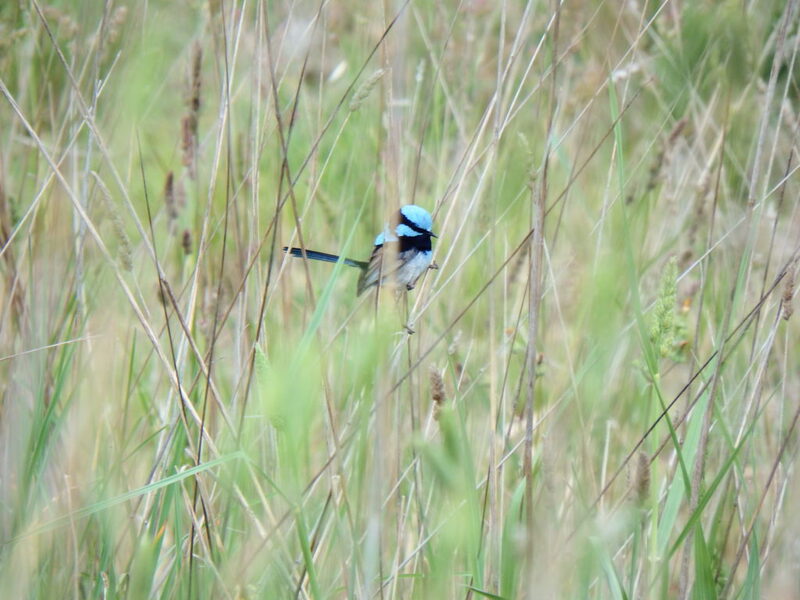 was this Splendid Fairy Wren. I saw them most places we visited in Australia, and I did get closer views, but this was my favourite shot ..
My Australian species total eventually reached 104. 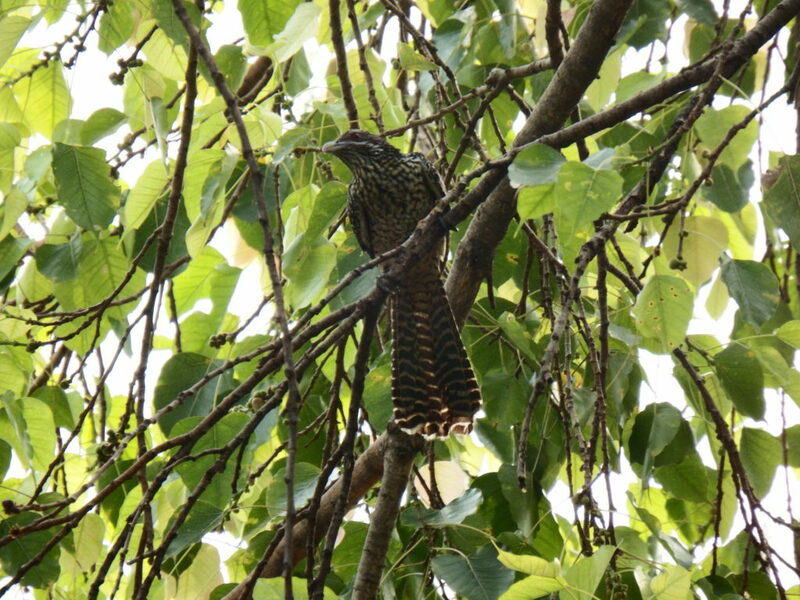 The Asian Koel is widespread across Asia and often heard rather than seen as the male is very vocal during the breeding season. It is a large cuckoo and, typical of the family, it is parasitic, laying a single egg in the nests of birds such as crows and shrikes. 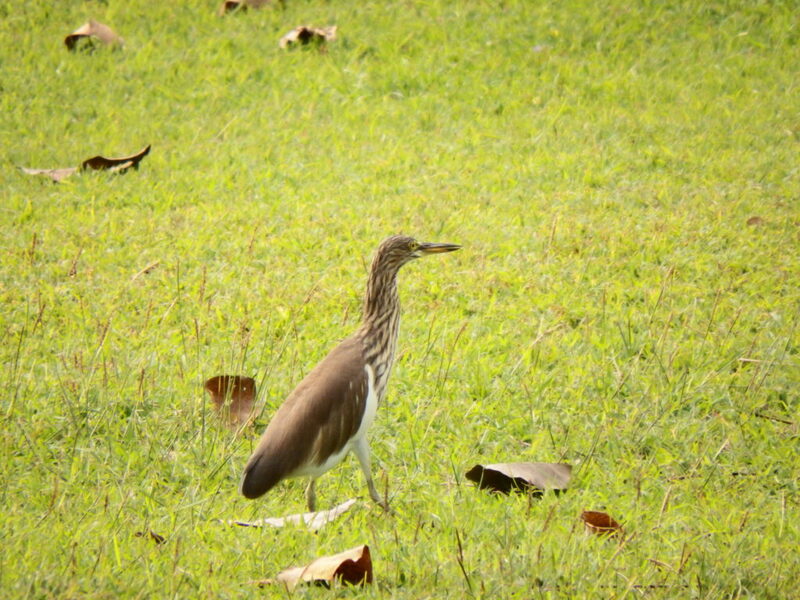 This bird, a female, is attractive enough, but possibly not as striking as the all-blue-black male with its beady red eye). Can I first of all apologise for the non-appearance of the November newsletter (unavoidable because I was on a lengthy holiday ‘Down Under’ – see holiday report later in this issue!). I had hoped to put out a short edition in December, but I didn’t get back to the UK until the 10th and then the long journey plus Christmas caught up with me! I do aim to issue four editions this year, though, on a quarterly basis, but rather than wait for the usual first issue timing, February, we have enough to catch up on right now so January it is. Indeed, this earlier-than-usual first issue is useful in reminding members that it’s time to renew memberships. John Follett, our treasurer and membership secretary will be delighted to hear from you. The fees remain (as they have for a decade or more) at £7.50 for a single, £10 for family and £1 for junior membership. Please send cheques – together with your address and membership number if you know it – to John at 8 Buckminster Close, Oakwood, Derby DE21 2EA. I should also inform you that our Annual General Meeting, which usually coincides with our January indoor meeting, has been postponed until February when it will precede the indoor meeting. At the AGM, as well as reporting on a relatively busy year and one that has actually seen membership edge up slightly for the first time in several years, we will be seeking election/re-election of committee members – and one piece of bad news is that we are losing our secretary Paul Hicking. Paul has decided to stand down after a number of years’ sterling service. This will leave us thinner than ever on the ground going forward … so, in time-honoured fashion, I need to ask the membership at large if there is anyone out there who would like to join the committee. It doesn’t have to be a specific role, and you can begin on a ‘see-if-I-like-it’ basis, but we do need to keep numbers up in order to have a ‘quorum’ for actions and decision-making at committee meetings. If you want to give it a try, please contact me or any of the existing committee (see our details at the end of the newsletter). Meanwhile, looking forward, we still have three indoor meetings to go in the current season (see ‘What’s On’) and initial plans are afoot for another club trip, though the precise location is yet to be decided. Watch this space. 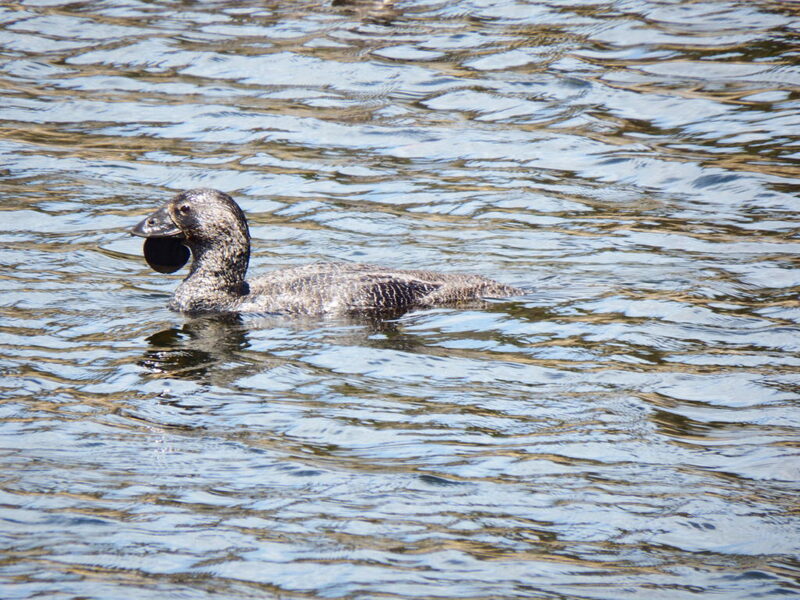 LARGE FLOCKS OVER CARSINGTON … AND SINGLE DIVER RETURNS, AGAIN! Detailed statistics for 2018 are presently being compiled, but the157 species recorded across the year is a little below average, the lowest since 2014 though only 16 less than the highest ever. One invariable event, however, was the arrival of ‘our’ Great Northern Diver, which booked in for its annual winter holiday in early December. Two Red-throated Divers dropped in two months earlier but did not stay very long, while visits by Great White Egrets in both September and October were also highlights. It’s been a busy time for gulls, too, with up to 10,000 Black-headed counted on separate days in November and December and, also in the roost, up to 3,800 Lesser Black-backs and 1,800 Common Gulls. Of more interest to the gull enthusiasts, however, were Caspian and Glaucous Gulls, a Kittiwake, and a couple of hybrids (a Caspian type in September and a Lesser Black-backed/Ring-billed cross in November) that really tested their expertise. There have also been large flocks of our winter thrushes, as 1,210 Redwings were counted in December and 930 Fieldfares a month earlier. But even these impressive totals were eclipsed by the large daily movements of Woodpigeons, which maxed at 6,450 in mid November and the 3,600 Starlings logged on 28 October, when huge murmurations were noted nationwide. Chiffchaff … though further evidence of overwintering warblers came with two Chiffchaff sightings in Brown Ale Bay in late December. Other winter visitors have included Hawfinch, viewed a few times between 23 and 27 November, but this was not a signal for a repetition of last year’s influx as none have been noted since. Four Waxwings – the first sightings of this attractive species at the reservoir for six years – flew over on 29 December. Maybe more will follow. Small parties of Ruff, Redshank and Dunlin seem to have settled in for the winter, no doubt enjoying the wide expanses of exposed mud, while Golden Plover were recorded each month from October to December, with an impressive 72 counted circling the site on 10 November. A Grey Phalarope, one of a number blown inland by westerly gales, turned up at Carsington on 21 September and stayed for three days. Up to 500 Lapwings and 47 Snipe were maximum counts during the last four months of the year, and a site record eight Woodcock were roosting at Hopton End at dawn on 24 November. Coot numbers have hovered around the 1,000 mark throughout the autumn and early winter, while there have also been good numbers of Teal (up to 460), Pochard, Mallard and Gadwall, and among the winter duck arrivals have been regularly-seen Goldeneye, Wigeon and Goosander, plus a sprinkling of Scaup, Common Scoter, Mandarin, Shelduck and Red-crested Pochard. It’s been a quiet time for raptors with just September records of a Red Kite, two Hobbys and an Osprey on several days earlier in the month, plus more regular sightings of Peregrine, breaking the steady pattern of more common raptors – Sparrowhawk, Buzzard and Kestrel. The welcome sound of a Little Owl calling at Hopton End on 17 October was the first Carsington record for five years of this seemingly scarcer Strigiform, while records of the more common Tawny Owl were boosted by up to six individuals calling, also at Hopton End, on two dates in September. Ardea Alba is being seen with increasing regularity at Carsington and other inland lakes and reservoirs, though it is more likely to be seen at or near coastal locations. The RSPB website states around 35 individuals spend the winter in Britain, though that number is almost certainly on the increase. Indeed, this species is heading north rapidly – rather like its smaller cousin, the Little Egret, which until a couple of decades ago was considered a rarity but is now widely recorded, including most months at Carsington. The spread north should not be that surprising as one or other of the four sub-species of Great Egret (aka Great White Egret, Large Egret and Great White Heron) is found on most continents of the world, and is a bird you’re just as likely to see in south-east Asia, the Americas or Africa as well as Europe. They look rather like other family members such as the Little Egret, but are significantly larger – about the size of a Grey Heron – have a different ‘stance’ when feeding (on fish, frogs and insects, primarily) and have black feet (rather than the Little Egret’s yellow feet) and juveniles and non-breeding adults have a yellow rather than dark bill. The choice of Frampton Marsh for the club’s latest trip at the end of September got a resounding thumbs-up from the dozen members who made their way to the RSPB’s Lincolnshire site that never seems to fail to deliver. More than 60 species were recorded collectively by our group, the stars of the show possibly being a Cattle Egret and a good range of waders including Little Stint, Avocet, Golden Plover, Snipe, Ruff, Little Egret, Spotted Redshank and Greenshank, together with a huge raft of 2,500 Black-tailed Godwits. Other highlights included a pair of Stonechats, a Whooper Swan, Egyptian geese and a solitary Brent Goose out on the marsh, while a Merlin on a distant fence post was an excellent spot by one of the group with a scope. Another trip is planned soon – probably in early spring – but a precise date and location are yet to be decided … so watch this space. Meanwhile, our 2018-19 season of indoor talks is now in full swing after the first four offerings. Award-winner photographer Paul Hobson got us off to a salt-laden start with a tour around coastal and island locations, and this was followed in October by our joint meeting with DOS, at which Chris Galvin took us around the globe with his talk Around the World in 80 birds … though we suspect there were rather more than that number of images! Chris Lamb reprised his first-ever trip to Australia, showing pictures of birds and other wildlife, and describing how challenging it was going to a country and attempting to identify such diverse and vibrant bird species and other wildlife. Then, at our pre-Christmas meeting, Andrew Parkinson demonstrated his love affair with nature rather closer to home with his talk entitled ‘British Wildlife through the Seasons’ which, as with all of our speakers, contained some brilliant photographs – mostly taken at locations just a few miles from his home. I greatly appreciated a sneak preview of Chris Lamb’s talk on Australian wildlife (mentioned above), because it demonstrated some of the bird species I was most likely to see in Australia, which was one of my destinations – along with New Zealand, with stopovers in Singapore and Bangkok – when my wife and I set off on 1 November on a five-and-a half-week adventure to mark our 40th wedding anniversary. Even the highlights are too numerous to list here (I’ll include a longer article, together with some pictures, on the CBC website) but certainly the wildlife everywhere was truly memorable, as was the breathtaking scenery in New Zealand and some amazing cityscapes en route – most particularly the exciting architecture and event venues and forensically clean streets of Singapore. After 12 flights, 19 accommodations and nearly 3,000 miles added to the clocks of three different hire cars in just 39 days, here’s a word of advice: when you get past 60, feed in some extra relaxation time! We used thorough and efficient Trailfinders to organise the details of the ambitious itinerary, which included wildlife havens such as Stewart Island, off the southern tip of New Zealand, and Kangaroo Island and Phillip Island which sit at either end of the Great Ocean Road between Adelaide and Melbourne. Stewart Island is entirely geared towards wildlife, particularly preserving some of New Zealand’s rarer and more fragile bird species. The only settlement on an island nearly five times the size of the Isle of Wight is Oban, which has a permanent population of just 320 – so the island’s population density of one person per five square kilometres speaks for itself. With only a couple of dozen miles of tarmac roads, most of it is remote bush, and is gently managed for the benefit of the local wildlife – and is perfect for someone like me who could just wander freely and be guaranteed to see something different every time I ventured more than a few yards from our B&B. Ulva Island, which could be reached by water taxi, was a discrete, quiet location where most of the scarcer species such as Weka, Saddleback, Brown Creeper and Kaka (and Yellowheads, which I dipped on) were readily found, while a pre-booked trip a little farther afield netted the promised Brown Kiwi. Kangaroo Island, 100 miles south of Adelaide in South Australia is also bigger than I first imagined. 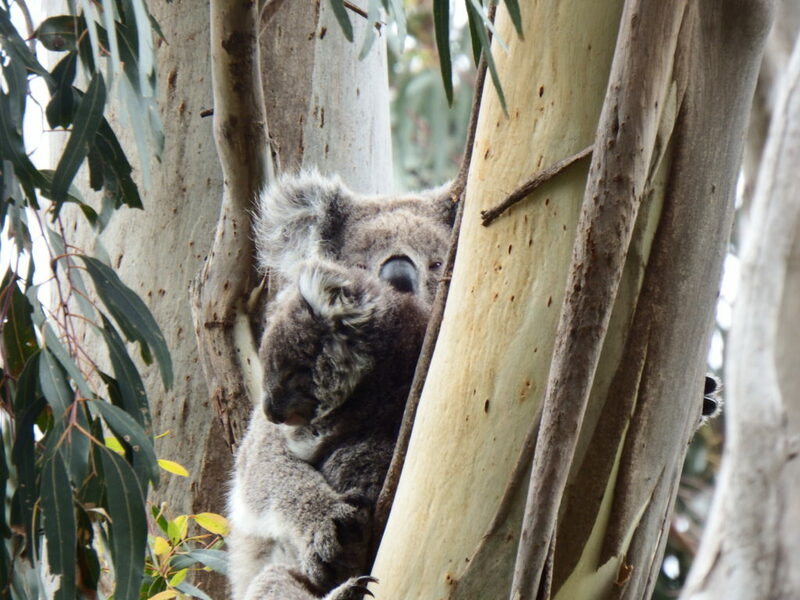 Initially I was a little depressed to see only dead kangaroos at the side of the road and, after seeing more road kill in the form of a dead koala, we decided to visit a wildlife park in the centre of the island, which was enjoyable and enabled us to get close to some of the country’s landmark species. 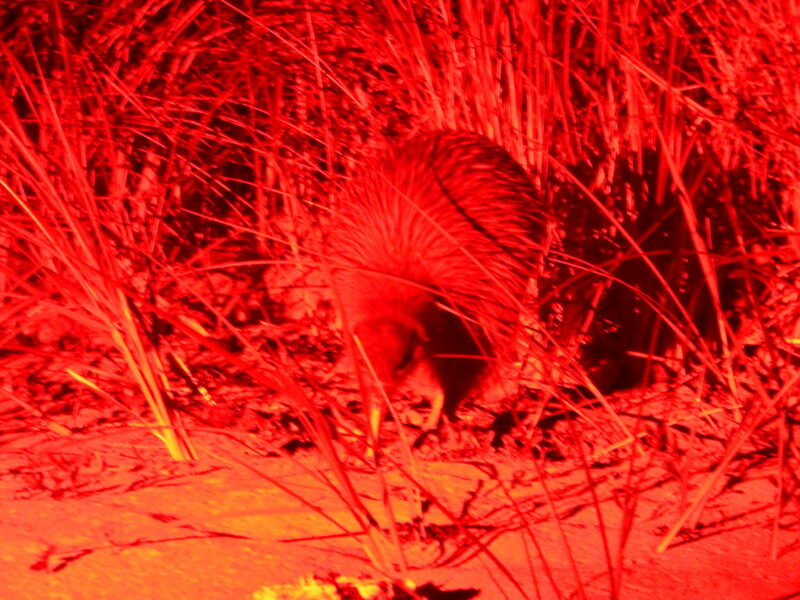 Ironically, after that, we saw plenty more in the wild – wallabies, kangaroos, koalas, emus and even an echidna shuffling down the side of the road. 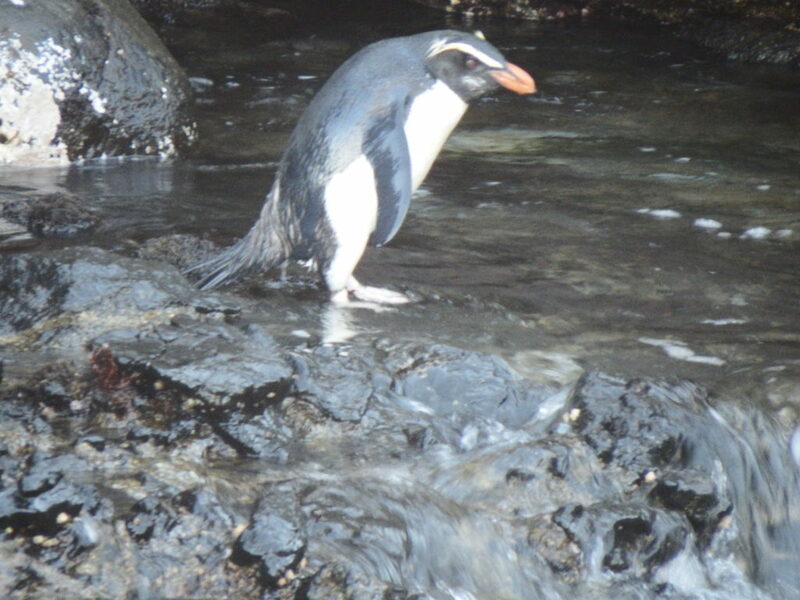 Another highlight was being close to penguins when they came ashore at dusk on Phillip Island. Unbeknown to us, we were allocated two of just 10 VIP tickets for the daily ‘Penguin Parade’. We discovered that this meant we didn’t join the massed crowds on a viewing platform above the main beach, but got right down and dirty onto the sand of a private beach above which large numbers of the Little Penguins nested (along with thousands of Short-tailed Shearwaters which whistled around our ears while we watched the rafts of penguins waddle up the sand). It was a true privilege to be so close to the little birds as they filed past us just yards away. Unsurprisingly, with over 900 species, Australia’s birdlife was rewarding pretty much wherever we went, even in large conurbations including Sydney (where we spent an unscheduled day due to a cancelled flight) and Melbourne where I sought out the green areas – and where, unlike New Zealand which we’d visited previously, four out of each five species I managed to identify were ‘lifers’. There were a few species I’d never seen before in New Zealand, too, plus a handful of lifers in Singapore and Bangkok, two cities that could not be more different … though both could boast a number of spectacular birds. Overall, I logged 185 species (83 in New Zealand, 104 in Australia and 20+ in each of the Asian cities, but allowing for duplication), of which more than 90 I was able to add to my lifetime list.